If you're looking for CNC products here's a sample of products I've already produced or can provide. Even though this is in a small footprint, don't under-estimate it power. This is a serious piece of hardware that exceeds it's tooling size power specification. Integrated coolant passage in body. Supports coolant through spindle (rotary union not included). Supports air blow-out (rotary union not included). Like the BT15/ISO15 spindle cartridge, this is the next evolution in cartridges offering you higher sustained cutting force while maintaining a small footprint. BT30 spindle cartridge with Hydraulic-Pneumatic drawbar actuator. Your Sherline will thank you!!! Dual 25deg Angular Contact bearings in nose. XL-037 pulleys (0.200in pitch) for 3/8in (9.525mm) wide belt. Your Sherline Mill will thank you!!! Dual-Row Cylindrical Rolloer Bearing in rear. Optional 10,000RPM 250W fan cooled motor ($200.00). HTD-5M pulleys (5mm pitch) for 15mm wide belt. Single-Phase / 3-phase 220V input power. This budget upgrade motor will give you 5,000RPM at the spindle and three and one third times the power over the stock Sherline motor without making any other component changes. This super-duty upgrade motor will give you 5,000RPM at the spindle and four times the power over the stock Sherline motor without making any other component changes. I am a GSK authorized reseller, I can offer this product cheaper than anyone else in USA/Canada. This product is drop-shipped directly from the manufacturer using DHL courier services (additional import duties may apply). Typical duties are 1% to 3% of the products value. As a bonus, this product includes the auxiliary switch panel with switches (a $200.00 value). Five axis (X, Z, Y, 4th and 5th) control. The axial name and the axial type of 4th and 5th axis can be defined. Multiple functions, it can perform drilling/boring, roughing of round groove/rectangle groove, finishing of full circle/rectangle, continuous drilling of straight line/rectangle/arc, etc. Built-in many PLC programs, current running PLC programs can be selected. Memory capacity: 40M, total 10,000 part programs. Support macro command programming in sentence type and the calling of macro program with the Parameter. Support metric system/inch system, with the function of auto chamfering and tool life management. 7.4in color LCD display in Chinese, English, Spanish, and Russian, which can be selected by the parameter. With USB interface, support USB file processing, system configuration and software upgrade. 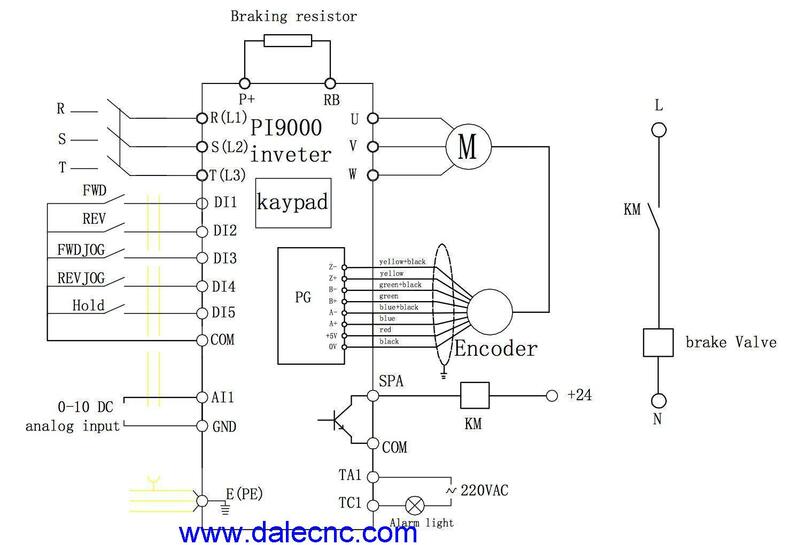 DNC in high speed, realize part program real-time transmission processing. Analog voltage output of 0V-10V in two channels, support two spindles. One channel for remote jogging, supporting external/internal MPG. Common I/O in 40 inputs, 32 outputs. As a bonus, this product includes the auxiliary switch panel with switches (a $250.00 value). Display in Chinese, English, Spanish, and Russian, which can be selected by the parameter. The standard default configuration is 4-axis (3 linkage), and the 4th (rotary/linear) axis can be set by parameters. The max. positioning speed can reach 30m/min, and the max. interpolation speed can reach 15m/min. Linear, exponential and Speed acceleration/deceleration is optional. Analog voltage output of 0V-10V in two channels, supports two-spindles. Bidirectional pitch error compensation, backlash error compensation, tool length and tool radius compensation are available. Convenient management for the system with multilevel operation password. 10.4 inch chromatic LCD . Chinese, English, Spanish and Russian language interface can be selected by setting the corresponding parameter. The system has 56MB program memory capacity to store up to 400 programs and has the background edit function so you can edit a program in the background while running another. The system has the standard RS232 and USB interface which can accept bidirectional transmission of programs, parameters and PLC programs between CNC and PC (optional ethernet interface available). The system has DNC control in high speed, processing part program in real-time. It's built-in PLC can operate the various logic control functions; the ladder can be edited, uploaded and downloaded on-line. It is easy to switch between automatic and manual by the function of manual button. It can be implemented that coordinate move in automatic operation or by manual handle operation and step intervention. It's supported that editing a program whi le executing another program by background editing. It can be selected by parameter between rigid tapping and tapping by spindle tracking. 3 level automatic gearing, the voltage of frequency conversion may be changed by setting spindle speed at any moment. It is supported some advanced functions that rotation, scaling, polar coordinate and many canned cycles etc. By USB function, it's easy to upload and download programs, to machine workpieces online. Supports coolant through spindle (rotary union & hole-through retention knob not included). BT15-FMB22 Shell Mill Tool Holder. Accepts FMB22 based face mill cutter heads. FMB22 50mm 6-insert Face Mill Head. FMB22 63mm 8-insert Face Mill Head. BT15-APU08 Drill Chuck Tool Holder. accepts 1mm - 8mm (5/16) drill bit. 1pc BT15-APU08 8mm (5/16) Keyless Precision Drill Chuck. 1pc BT15-FMB22 Shell Mill Holder. 1pc BAP300R-50-22-6T 50mm 6-insert Face Mill Head. 1pc BAP300R-63-22-6T 63mm 8-insert Face Mill Head. 1pc BT20-APU10 10mm (3/8) Keyless Precision Drill Chuck. 1pc BT20-FMB22 Shell Mill Holder. This is the next evolution in mini-VMC frames at a reasonable price with large travels while maintaining a small footprint. 20mm or 25mm Linear guide rails. 20mm rolled, 25mm rolled or 25mm precision ground ballscrew. Available with 600W 60mm/750W 90mm/1.0KW 90mm Servo Motor Mounts. Available with Spindle Motor Mount included with 2.2/3.0KW spindle motor or Blank for your own motor. 'lb' = pounds & 'oz' = ounces. Very large and very small numbers appear in e-Format and are unspaced. Unvalued (trailing) zeros on all numbers have been suppressed. Unit shown in red are changeable. These charts contain information on metric and imperial sine bar constants.